Stock # 11497, 3.5L V6 EFI DOHC 24V, 8-Speed Automatic, 12 mi. With its roomy interior, improved comfort, and accessibility features like removable first row seats and 30" automatic in-floor ramp, this is a great family option. 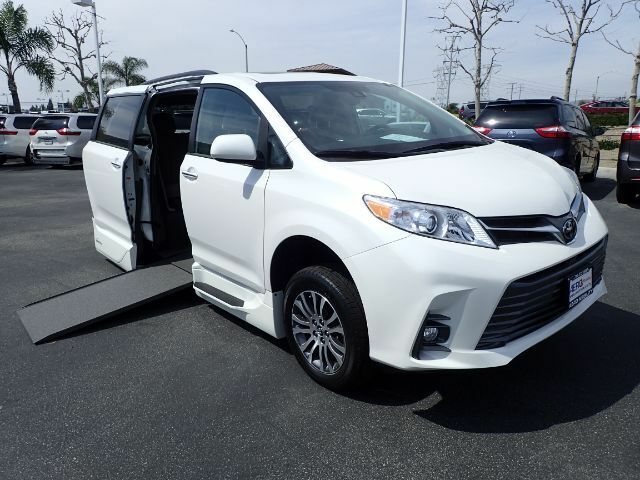 This 2019 Toyota Sienna Limited Premium comes with a Pearl White exterior and soft gray interior with leather seats. Enjoy a touchscreen display, a backup camera, and a moonroof on this wheelchair accessible conversion from Vantage Mobility (VMI).